When I have my family and friends announced that I am going to spend the summer in Oman, reactions were only two: Where is it? And then, do you not worry? It says exactly what the people have very distorted and inaccurate picture of the country, located in the region of Middle East. 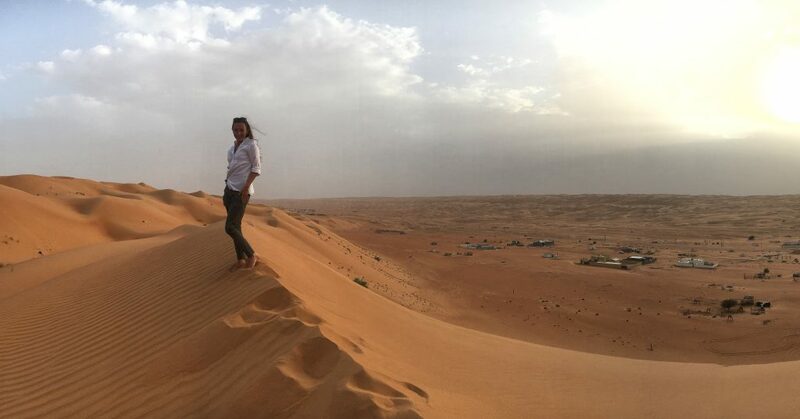 Why I have chosen this country, it is very simple, I like the hot weather and I wanted to get to know a country where everything is different and therefore it is in Oman. The landscape is arid deserts, towering peaks among which you will find countless emerald oasis filled with date palms. 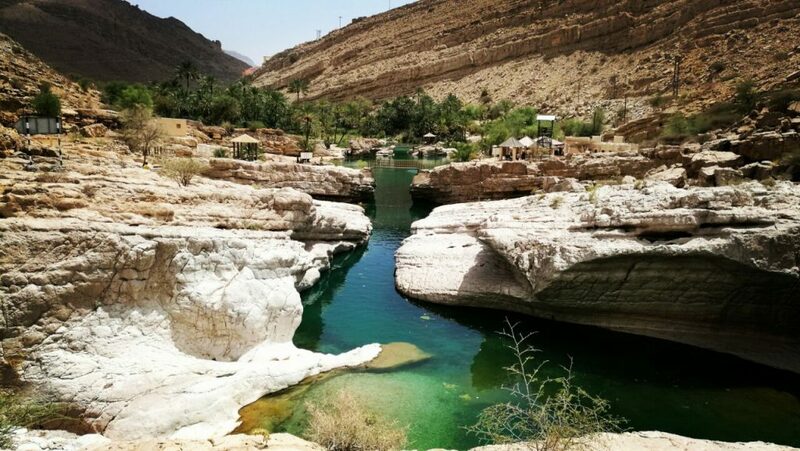 Nature is beautiful in Oman and for us very unreleased, during your stay you have the possibility traveled almost all over Oman, and top places of Oman you will visit during the monthly internship with omani students, it is granted. Oman is a very rich country, which profits from natural gas and oil. It is grown there as incense in a single country in the world and a number of rare spices, aromatic oils are produced. Their ruler is Sultan so it is Sultanate, which is the world’s only two. 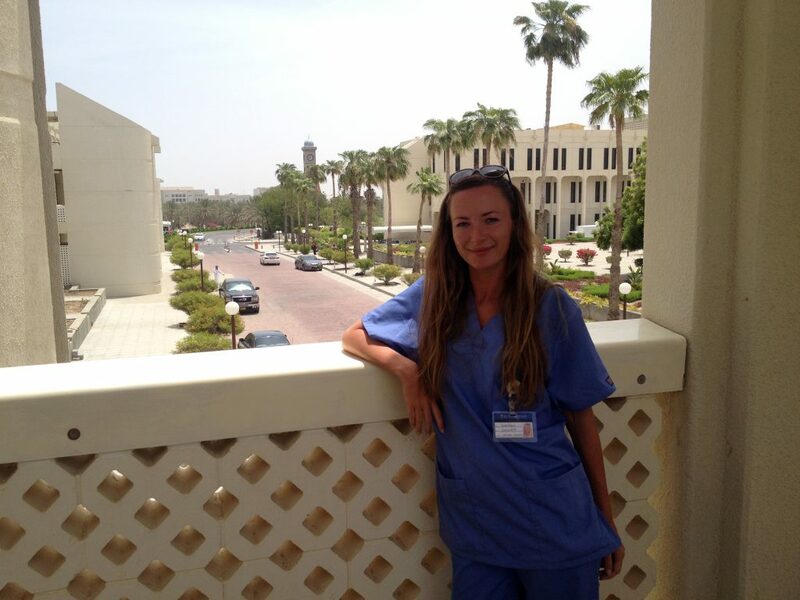 I did my internship at the Sultan Qaboos University Hospital in the capital Muscat. I chose radiology department, because I wanted to see and learn from this area more than we had a chance at our faculty. Radiology department is large and is divided into several sections, namely: workplace ultrasound, CT, MRI, X-ray department and interventional radiology. I could choose how long and on which specific workplace I want to be. The official language is Arabic, but in the hospital everyone speaks English, from doctors to nurses across the hospital attendants, technicians and staff in the dining room. Facilities at the hospital was a very high standard and the whole building reminded me of the Arab Palace. They have a different system than we do, for example ultrasound is performed by special trained nurses who were very willing to explain everything to me and let me work the main proceedings and to examinate patients. The department was full of report rooms which were equipped with a large number of computers, where doctors in higher positions create final reports of all examinations. Then I spent two weeks at the department of interventional radiology, which was the most interesting. Their work was very precise and even small interventions as ascites puncture was performed also under control of USG. After a week, the doctors let me scrubed in some procedres as implementing patch catheters, vascular ports and embolisations. Doctors were very kind, asked about Slovakia, they gave me a different type of traveling tips and tried to help at all. I was the only student in radiology so I had enough attention. Doctors, nurses and residents are called by their given name. The atmosphere is thus not too mincing. At the hospital, many foreigners work so that patients and staff are used to it. Muscat is a very big city and it is widespread, it means you can be transported only by cars. There is no public transport anyway everybody owns a car, not just one. To explore the city and its surroundings eg. after your internship I do recommend to rent a car (cca 25 EUR/day). Native students and their buddies used to take us hangout somewhere all the time with their cars, so we had no problems with travelling around the city. Hospital and our accommodation was situated in the district of Al Khoud which is located about 20 km from the city center. We stayed in the apartments which are fully equipped (kitchen, bathroom, washing machine, AC, etc.) Each apartment had 3 double rooms. On the roof we had a terrace where we’re chilling and having bbq. Every morning the bus gave us the lift to the hospital about 7:30 a.m. and about 3 p.m. used to take us back. The journey takes about 5 minutes and I do not recommend to try to walk the distance as the route goes via busy streets with no sidewalks. As for the meals, we got a block of coupons that we can pay the hospital canteen. Offer of food was really wide. We used to go there for breakfast, lunch and we would take food take away. Social program was the best I have ever experienced. 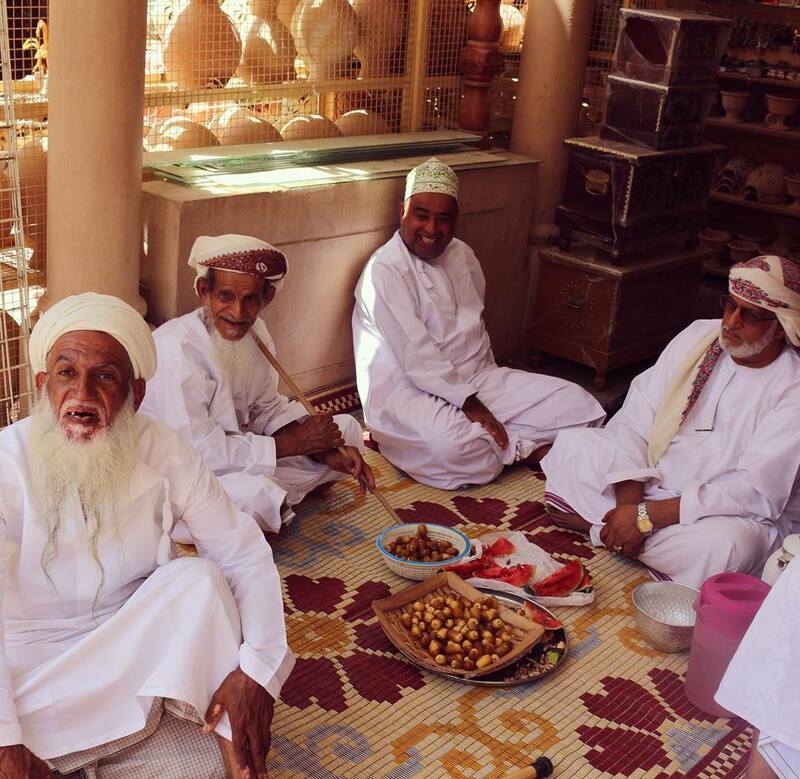 I have to pick up the kindness and willingness of local Omani guys. Every weekend we had a trip outside Muscat (desert and camels, swimming in oases, observing turtles in the nature reserve, boat trips, snorkeling, camping in the mountains and the beach and many other activities). During the week they used to take us to the town for dinner, Shisha, bowling, quadbikes and other activities. And if there is wedding in someone family you can be sure that you are there. It is a Muslim country, it means that alcohol and pork, you must forgive month to go up there, but believe you will not miss it. Replacement will be delicious fruit drinks, arabic teas and camel meat or milk. Haha. Muslims in this country are very tolerant towards other cultures and religions, but also require respect to them. Do not worry, you do not need to cover your head and face and you can swim in a swimsuit. Of course, I do advise to adjust your dresscode to meet local standards at minimum. Tip 1: When you arrive to Oman, you need to buy a 30-day visa (cost about 60 euros). During the internship, you can choose a weekend in Dubai or Abu Dhabi, it takes 4-6 hours by bus, though it should be traceability of the length of validity of visas . Because if you cross the border of Oman visa will automatically be canceled and the case way back you have to buy extra (10 days, the price of about 12 euros). Therefore, it is good to plan such a weekend to the end of your internship. Tip 2: Travelers who want to travel the Middle East (Qatar, Bahrain, Kuwait, Lebanon, …), recommend to buy tickets in advance. From Muscat are provided local airlines at competitive rates and are short flights. 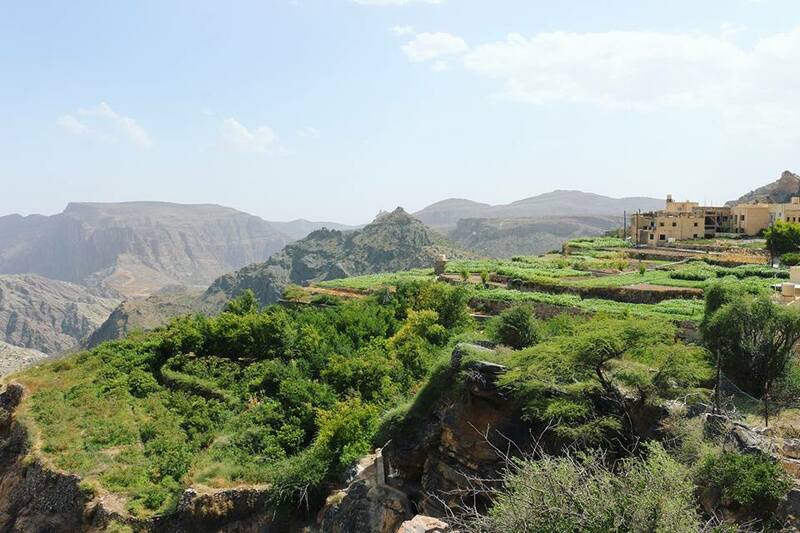 Tip 3: Many students after the internship went to the south so called Salalah, in the summer this is the only place in Oman where you will find lots of greenery, mist and if you’re lucky it rains as well. Travel by bus about 15 hours, plus you need a car there. Flights from about € 100, but you must book in advance, as it is in the summer it is popular among Omanis as well. Tip 4: After my internship I traveled around Asia (Thailand and the islands), thanks to the nearby major airports like Doha or Dubai, it is easy and cheaper to fly somewhere even further and continue your holiday (eg. : Sri Lanka is only four hours by direct flight from Muscat). I evaluate all this internship as a great life experience, to be postponed prejudices and find in this culture and country that is beautiful and good.